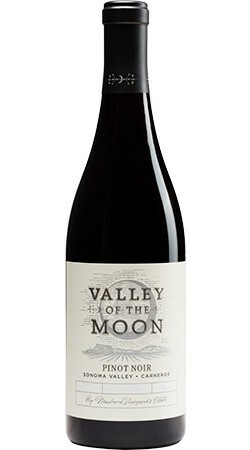 The Valley of the Moon Pinot Noir presents brilliant garnet color and bright aromatics. Fresh bing cherries, cranberry tart and a whisper of baking spices unfold in soft layers. True to its cool, windy Carneros-vineyard home, the wine's structure is soft and elegant with well-resolved tannins and a food-friendly, clean refreshing style.